Whether it is for schools, museums, science centers, even for in-house competence training within industry, everyone uses 4DFrame educational materials in a variety of different ways. 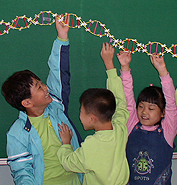 The flexibility and creative potential of this teaching resource leads to the best method suited for their particular needs. The following are examples of some of the various ways that 4DFrame has been used; perhaps one day you too will find one of your very own. We’d then be happy to hear from you; tell us or send us a picture. Good Luck! Why not challenge yourself and your students, and do as Eva did: try and capture some air of your own with 4DFrame! The last astronauts walked on the Moon’s surface in December 1972, but that hasn’t stopped school classes visiting Umeå’s Umevatoriet science centre from thinking about what it would be like to return, and build a moonbase there. 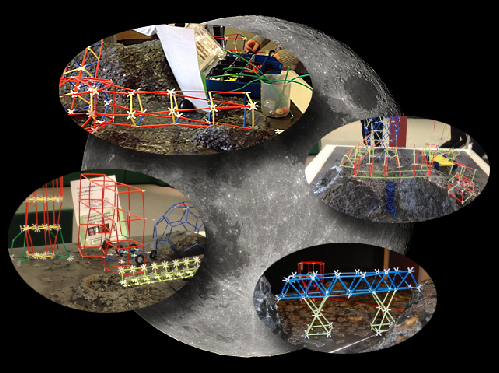 A challenge in technology aimed at grades 2 to 9, students first learn about the history of technology, and then use 4DFrame building materials to make bridges, moon rovers, and other useful constructions on large three-dimensional models of the lunar surface. 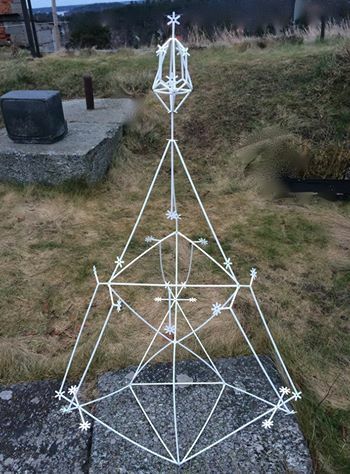 Something new that has recently become popular with children in Sweden using 4DFrame is to construct three-dimensional models that they use to tell stories, or are related to the telling of traditional ones. 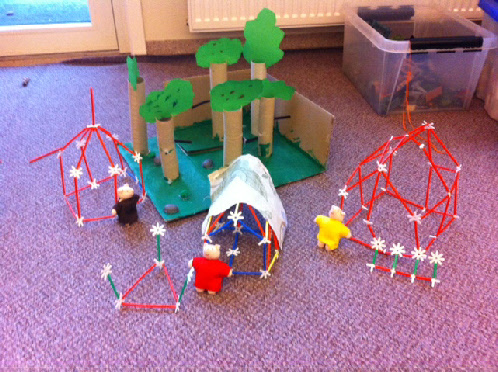 In this example we can see a depiction of the well-known fable of “The Three Little Pigs” as built by a six year old and submitted by Ingela Blomberg (thank you!) from Hagfors Library. 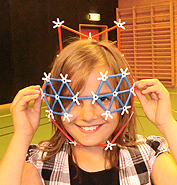 This is but another example of how children’s imaginations can be stimulated through the use of 4DFrame materials. 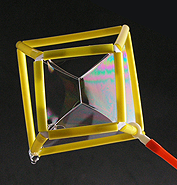 Once they have decided what story they want to show, how do they actually go about turning the main points of the text into a three-dimensional object. What colors should they use, how large should it be, what else can they add to what they have built – for example the three cloth pigs and the cardboard tube and construction paper forest shown here – to complete their presentation? The possibilities are endless and are only as limited as a child’s own imagination. Innovatum Science Center is located on the west coast of Sweden in the city of Trollhättan, about 70 kilometers north-northeast of Göteborg. 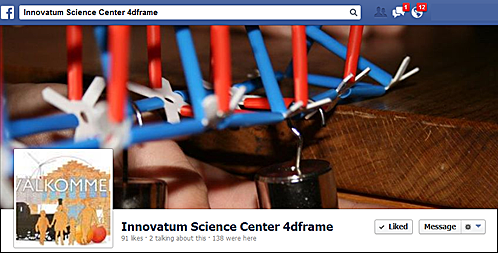 One way that you can explore how they use 4DFrame is by visiting their Facebook page.